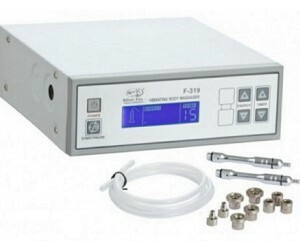 Item #USA-F-336B.Dermabrasion instrument with diamond heads for controlled and non invasive exfoliation treatments. It works on the most superficial skin layers removing dead cells, fine lines, and comedones.The unit comes with 2 attachment nozzles and a LED digital screen. Please note:all shipping charges are additional and will only “show up on your invoice from us.this will not appear on your internet order. 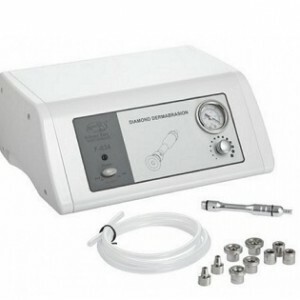 Item #USA-F-834.Dermabrasion instrument with diamond heads for controlled and non invasive exfoliation treatments. 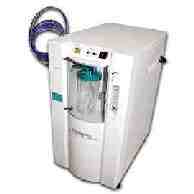 It works on the most superficial skin layers removing dead cells, fine lines, and comedones. Please note:all shipping charges are additional and will only “show up on your invoice from us.this will not appear on your internet order. 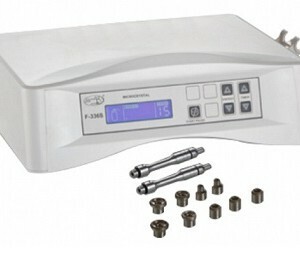 Item#-USA-F-319A.Dermabrasion instrument with diamond heads for controlled and non invasive exfoliation treatments. It works on the most superficial skin layers removing dead cells, fine lines, and pustules.Please note:all shipping charges are additional and will only “show up on your invoice from us.this will not appear on your internet order. 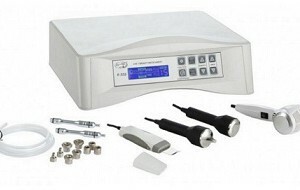 Item#-USA-F-332.Modern instrument that combines 4 functions in a single machine: diamond microdermabrasion for noninvasive and controlled exfoliation treatments; ultrasound used to improve cellular metabolism; hot and cold hammer to smooth skin after microdermabrasion treatments and enhancing skin product absorption; and facial exfoliation tool with spatula applicator. Please note:all shipping charges are additional and will only show up on your invoice from us.this will not appear on your internet order. 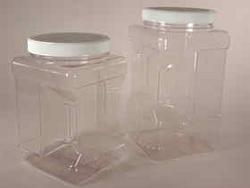 Comes in 14lb container, 120 grit which is used by almost every high end microdermabrasion machine in the market.the 120 grit is a fine crystal that produces a polished result and flows evenly through almost any machine.PLEASE NOTE-THIS ITEM WILL SHIP STRITCTLY BY WEIGHT AND OR DIMENSIONAL SIZE.SHIPPING CHARGES ARE ADDITIONAL AND WILL NOT APPEAR ON YOUR INTERNET ORDER,ONLY ON YOU INVOICE FROM US.